Saifuddin Kitchlew (January 15, 1888 - October 9, 1963) was an Indian freedom fighter, barrister and an Indian Muslim nationalist leader. An Indian National Congress politician, he first became Punjab Pradesh Congress Committee (Punjab PCC) head and later the General Secretary of the AICC in 1924. He is most remembered for the protests in Punjab after the implementation of Rowlatt Act in March 1919, after which on April 10, he and another leader Dr. Satya Pal, were secretly sent to Dharamsala. A public protest rally against their arrest and that of Gandhi, on April 13, 1919 at Jallianwala Bagh, Amritsar, led to the infamous Jallianwala Bagh massacre. He was awarded the Stalin Peace Prize (now known as Lenin Peace Prize) in 1952. Saifuddin Kitchlew was born to the Kashmiri Muslim family of Azizuddin Kitchlew and Dan Bibi on January 15, 1888, in Amritsar, Punjab. His father owned a pashmina and saffron trading business and originally belonged to a Brahmin family of Baramulla. As it was his ancestor, Prakash Ram Kitchlew, who had converted into Islam and later his grandfather, Ahmed Jo migrated from Kashmir in mid 19th century to Amritsar after of the great Kashmir famine of 1871. Kitchlew went to Islamia High School in Amritsar, and later obtained a B.A. from Cambridge University, and a Ph.D. from a German university, and began practicing law in India. On his return he established his legal practice in Amritsar, and soon came in contact with Mahatma Gandhi. In 1919, he was elected the Municipal Commissioner of the city of Amritsar. He took part in the Satyagraha (Non-cooperation) movement and soon left his practice, to become part of the freedom movement, as well as the All India Khilafat Committee. Dr. Kitchlew was first exposed to Indian nationalism when the whole country was outraged by the Rowlatt Acts. Kitchlew was arrested with Mahatma Gandhi and Dr. Satyapal for leading protests in Punjab against the legislation. To protest the arrest of the trio, a public meeting had gathered at the Jallianwala Bagh, when Gen. Reginald Dyer and his troops fired mercilessly upon the unarmed, civilian crowd. Hundreds of people were killed, and hundreds more injured. This act, the worst case of civilian massacre since the Indian rebellion of 1857 outraged the nation, and riots broke out all throughout the Punjab. Kitchlew rose in the Indian National Congress, first heading its Punjab unit, and then rising to the post of AICC General Secretary, an important executive position in 1924. Kitchlew was also the chairman of the reception committee of the Congress session in Lahore in 1929-30, where on January 26, 1930, the Indian National Congress declared Indian independence and inaugurated an era of civil disobedience and revolution aimed to achieve full independence. Kithclew was also a founding leader of the Naujawan Bharat Sabha (Indian Youth Congress), which rallied hundreds of thousands of students and young Indians to nationalist causes. He was also the member of the Foundation Committee of Jamia Millia Islamia, which met on 29 October 1920 and led to the foundation of Jamia Millia Islamia University. He started an Urdu daily “Tanzim” to uplift the Muslims and was instrumental in establishment of Swaraj Ashram in January 1921 at Amritsar to train young men for the national work and to promote Hindu-Muslim unity. Throughout the 1930-1934 struggles, Kitchlew was repeatedly arrested, and in all spent fourteen years behind bars. 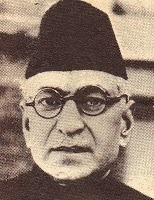 Dr. Kitchlew was opposed to the Muslim League's demand for Pakistan and later in the 1940s became President of the Punjab Congress Committee. In 1947 he strongly opposed the acceptance of the Partition of India by the Congress Party. He spoke out against it at public meetings all over the country, and at the All India Congress Committee session that ultimately voted for the resolution. He called it a blatant "surrender of nationalism for communalism". Some years after partition and Independence, he left the Congress. He began to come closer to the Communist Party of India. He was the founder president of the All-India Peace Council and also remained President of 4th Congress of All-India Peace Council, held at Madras in 1954, besides remaining Vice President of the World Peace Council. He also got the award of Lenin Prize from Soviet Union in 1954. Dr. Kitchlew moved to Delhi after their house was burnt down during partition of India riots of 1947, thereafter he spent the rest of his years working for closer political and diplomatic relations with the USSR, and received the Stalin Peace Prize in 1952, which was renamed for Lenin Peace Prize under De-Stalinization. In 1951, a Government Act made him, Jawaharlal Nehru, and Maulana Abul Kalam Azad, life trustees of the Jallianwala Bagh National Memorial Trust. He died on October 9, 1963, survived by a son, Toufique Kitchlew, who now lives in a Lampur village on the outskirts of Delhi, and five daughters. While four of his daughters were married into Pakistan, (two survive to date), one daughter, Zahida Kitchlew, was married to the Malyalam music director M. B. Sreenivasan, a Hindu gentleman. A posh urban suburban colony in Ludhiana, Punjab is named after Dr. Saifuddin Kichlew. It is popularly called Kitchlu Nagar.